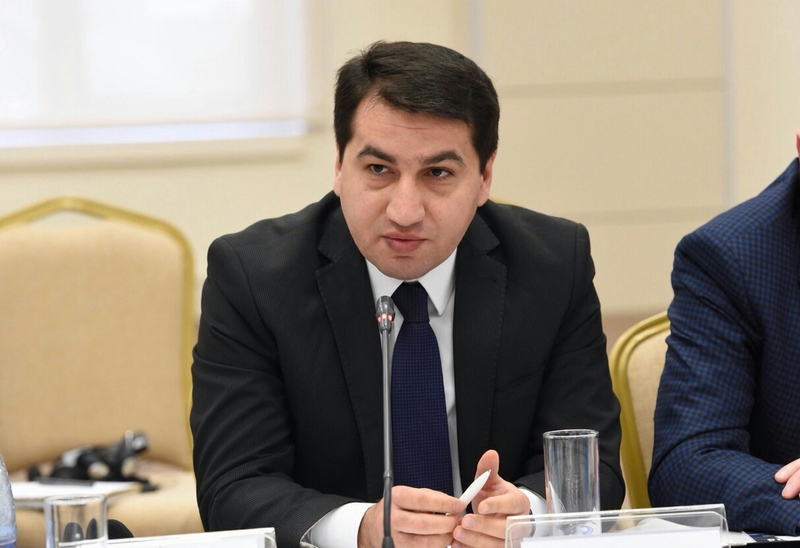 The declaration of war to Azerbaijan by Armenia openly shows that it is a party to the Nagorno-Karabakh conflict, Spokesman for the Azerbaijani Foreign Ministry Hikmat Hajiyev told Trend on September 14. He was commenting on the decision of the Armenian Parliament to declare a conditional war against Azerbaijan within Shant-2018 command and staff exercise. “The declaration of war to Azerbaijan by the Armenian Parliament within the Shant-2018 military exercises and its posting on the official website of the country’s parliament is another clear indication that Armenia is a party to the conflict,” the spokesman said. Hajiyev noted that the Armenian Prime Minister continues to make contradictory statements. He added that by its actions the Armenian leadership proves that its claims regarding participation of the fictional regime created in the occupied Azerbaijani territories in the negotiations are nothing more than nonsense. Armenia broke out a lengthy war against Azerbaijan by laying territorial claims on the country. Since a war in the early 1990s, Armenian armed forces have occupied 20 percent of Azerbaijan’s territory, including Nagorno-Karabakh and seven surrounding regions. More than 20,000 Azerbaijanis were killed and over 1 million were displaced as a result of the large-scale hostilities. To this day, Armenia has not implemented four UN Security Council resolutions on withdrawal of its armed forces from the Nagorno-Karabakh and surrounding regions.